Something good to end your Friday. 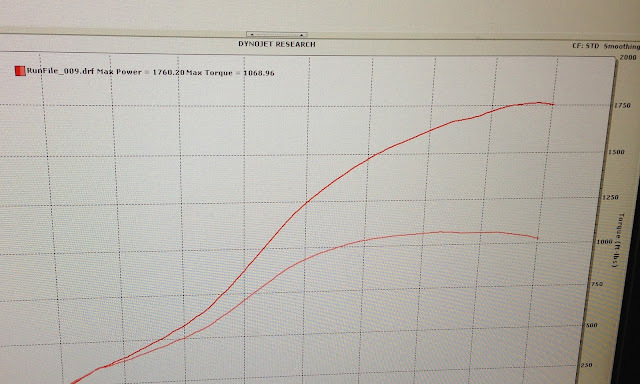 Neil from Switzer Performance posted this picture of a dynosheet from a GT-R they are working on. How does one thousand, seven hundred, and sixty horsepower sound to you? Over 1000 lb-ft of torque. Not bad out of 3.8 liters of fury. Should be able to get out of its own way.